Established over 100 years ago, Rona still retains its historical links with the village in which it was founded. A century later Rona is recognized as one of the world’s leading manufacturers of non-lead crystal stemware. 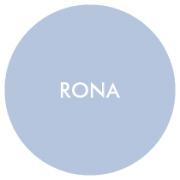 With international quality standards firmly in place at all levels of production, Rona stemware will satisfy the demands placed upon it by the restaurant and hotel ­industry. In-house design, superb manufacturing facilities and a definite service-focus ensure Rona products are ­market leading in every aspect.